We at Preview HQ mourn the passing of Kim Jonghyun, vocalist of hit Korean boy group SHINee. As K-pop fans and stans ourselves, we have always admired how he has been revolutionary in the industry: where stars were chided to keep quiet about social issues, he spoke up in support of LGBTQ+ rights, openly discussed his struggles with depression and mental illness and criticized the nation's politics and government. SHINee was founded in 2008 under mogul company SM Entertainment, soon rising rapidly armed with a string of chart-topping songs and a reputation as one of the biggest acts in both Korea and Japan (they famously sold out the 55,000-seat Tokyo Dome). Just this 2017, the quintet debuted their very first U.S. tour. Individually, Jonghyun branched out with a successful solo career in 2015, recording one EP, three albums, and seven singles in a span of two years. He went on to stage two huge concerts in Seoul mere days ago...all this in addition to SHINee's fifth Japanese studio album, heart-wrenchingly titled Five, released last February. 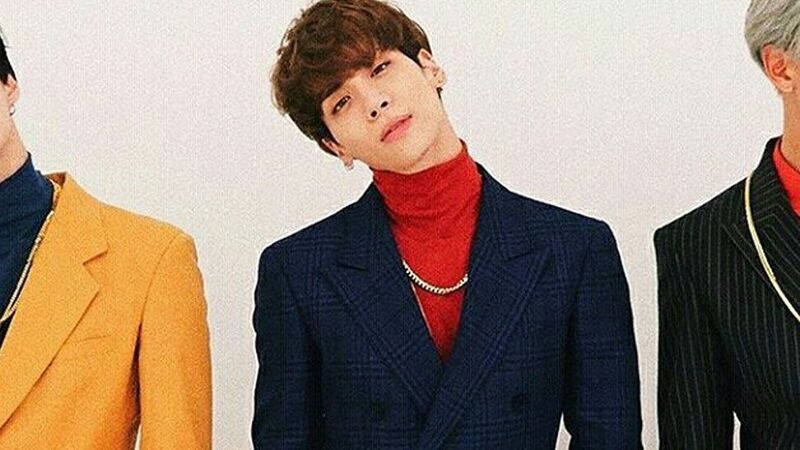 As our own form of tribute, we relive 11 of Jonghyun's best fashion moments here, with the knowledge that he wasn't only a singer, songwriter, producer and performer—he was also a man possessing style to be envied. Keep scrolling. At a photocall for KCon LA 2016. Performing at KCon LA 2016. At the photocall for the 30th Golden Disc Awards. At the 2015 SMTown Screen Show. Looking regal at the press conference for the group's SHINee World IV tour. Standing between his bandmates at a concert in Taipei, Taiwan. With fellow SHINee members Taemin and Key at a photocall for popular MBC music program Show Champion. Beaming beside Minho and Key at the SHINee World III press conference in Seoul. Belting his heart out at SM Entertainment's The Ballad Vol. 2 Joint Recital. At the 28th Golden Disk Awards in Seoul. SHINee at the 2013 Melon Music Awards, where they won their very first Artist of the Year recognition. Seoul police have confirmed that Jonghyun died by suicide. If you are struggling in a similar manner, don't be afraid to seek help! Contact the Manila Lifeline Centre at tel. no. (02) 896 9191 or 0917 854 9191.